Dr WONG Wing-hee was born in 1917. His ancestral home was in Guangdong Province, but he grew up in Shanghai, the most cosmopolitan cultural center in the Orient at the time. When he was in his early twenties, he was already well known and had been in charge of several musical organizations. And conduct the choirs during studied in Lester Institute of Technology, USA. After graduation, he worked as an engineer during the day and wrote incidental music for dramas in the evening. In early 1946, Dr. Wong was appointed as conductor of the China Music Drama Company. He was also the first Chinese ever invited to guest conduct the Shanghai Municipal Orchestra, the first professional symphony orchestra in the Orient. At his debut performance, a critic from the China Press, an English newspaper gave a lengthy review, headlining “China Maestro Excels in SMO Concert” calling it “a most creditable performance”. Prof. E. Felber described him in the Shanghai Herald as “a scrupulous and responsible leader and educator of the orchestra, fully devoted to his work”. 1967 represented the turning point of Dr. Wong’s life. He gave up his successful career as an engineer and accepted the call to return to the Far East to serve the church in different capacities, and especially in the field of church music. He was invited to Hong Kong as president of the Chinese Christian Literature Council to lead the Revision of 1936 edition of “Hymns of Universal Praise 普天頌讚 ”. Same year, he took over as principal conductor of Hong Kong Oratorio Society until 1989 retired back to the United States, a total of 22 years. He led the group out of Hong Kong Mainland China and overseas performances. Under his baton the Hong Kong Oratorio Society including in its repertory many important works, which were premiered not only locally but also in the Far East as well. After his retirement in 1989, he became HKOS’ Conductor Emeritus residing in America. However, he still came back to Hong Kong to conduct HKOS performances and participated in church music development. 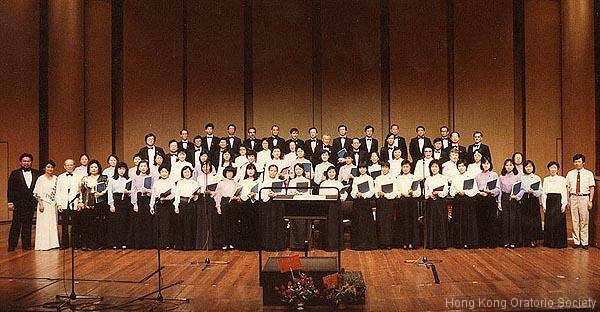 In 1991, he was being invited to conduct HKOS 35th Anniversary Concert. 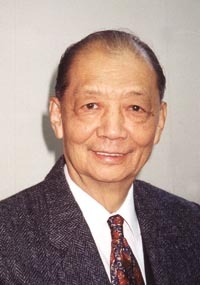 In 1997, Dr. Wong retired to United States for the second time. HKOS and some church music groups held a grand farewell concert to celebrate his 80th birthday . On 13 August 2003, Dr. Wong passed away peacefully in New York, aged 86.